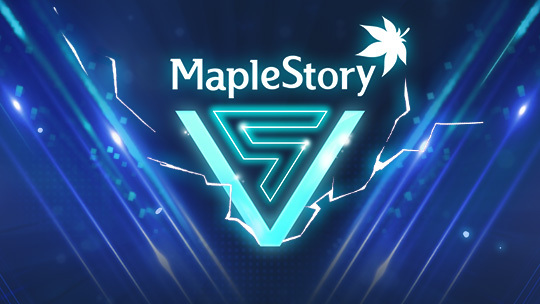 To help our gamers level up faster before the 5th job is coming, Maplestory official released some special V-themed events which started yesterday. Hunt monsters within your level range (10 levels below and 20 levels above) and they may drop Hi-Five Boxes! Open the box to receive one V Coin (to spend in the V Coin Shop; more about that below) and one other item. You might find new Nodestone Fragments! Combine five of these to create a Nodestone that can be used after the 5th Job Advancement. Other rewards include restorative items, Spell Traces, Medals of Honor, Chaos Scrolls, Mysterious Meso Pouches, Special Potential Scrolls, and more! Complete specific requirements each day to earn a reward box full of great items! To begin, accept the quest from the V icon within the star event notifier on the left side of the screen. There are four timed stages, each corresponding with a mission. You need to complete the specific mission within the time limit in order to complete the stage and receive a reward box. You can't complete the next stage until you clear the previous stage, so make sure to go in order! Missions include activating runes, participating in certain battles, and more. If you complete all four stages, you can receive four different reward boxes per day! Collect boxes everyday to earn even more reward boxes based on your total number of boxes earned. The boxes contain such goodies as Red Cubes, Maple Reward Points, Miracle Circulators, AbsoLabs equips, and more! One character per world can receive the reward box. Create a new character and earn free gifts for levelling up between Lv. 140 and Lv. 200 and completing missions! One new character per account (excluding Zero characters) can gain some useful items for every ten levels they gain within this levelling window. To begin, accept the ‘[V] Challenge! Breakthrough V!’ quest from the V icon within the star event notifier on the left side of the screen. Complete the assigned mission for each level range, and receive gift boxes at Lv. 140, Lv. 150, Lv. 160, Lv. 170, Lv. 180, Lv. 190, and Lv. 200. Get your hands the new Breakthrough Potions which give you an entire level if you use them soon! If you use them after the next leveling milestone, you’ll only receive half the EXP needed to gain the next level. Other items you’ll receive include Miracle Circulators, Selective 4 Slot Coupons, Maple Point Coupons, Spell Traces, Master Craftsman's Cubes, and more! Click here to see the items you can find inside each gift box. Earn V Coins through other events and take them to the V Coin Shop to exchange them for rewards! The V Coin Shop is located in the Event Hall, Henesys, and Leafre. There are hundreds of exciting items available in the shop, including new Vengeful Rings (and accompanying Vengeful Stones and Vengeful Ring Cubes), Double V Packs of Epic Potential Scroll 50% or Master Craftsman's Cubes, damage skins, chairs and mounts, Mastery Books, and more! You can also get a Character Name Change Coupon from the V Coin Shop! Use this to change your character’s name one time! After selecting your new name, log out and then back in to see the new name take effect. Create a new character and complete challenges to earn rewards! To begin, accept the '[V Tracker] Attempt the V Tracker!' quest from the V icon within the star event notifier on the left side of the screen. The V Tracker UI will show you the 40 challenges you have to work on. There are several different types of challenges including leveling up, completing job advancements, clearing theme dungeons, completing story content such as Black Heaven or FriendStory, hunting monsters, exploring Maple World, and more! The V Tracker is shared across characters in the same world (excluding Zero characters). Once you complete a challenge, you will get rewarded! Rewards can be accepted by any character (new or old) in the world. You can receive lots of great rewards such as V Buffs, Nodestones, Master Craftsman's Cubes and Meister's Cubes, chairs, 8-slot inventory expansion coupons, Pendant of the Spirit, V Coins, Mastery Books, and so much more! As we know, there are lots of events which released by Maplestory for the upcoming 5th Job Advancement. It's obviously that they make efforts to make the V Update become a highlight of the game.